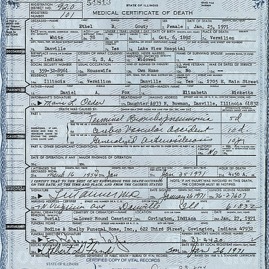 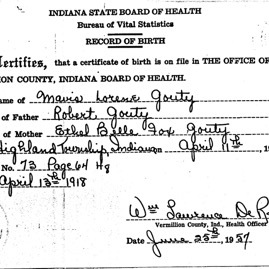 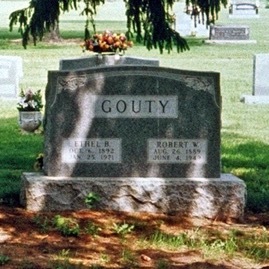 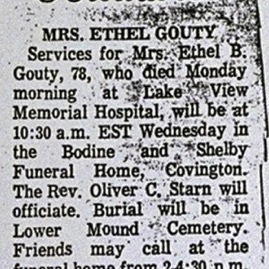 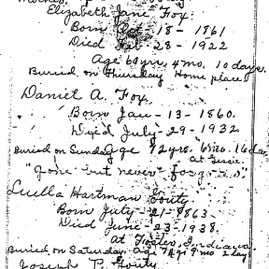 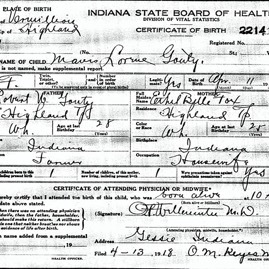 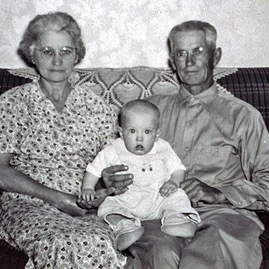 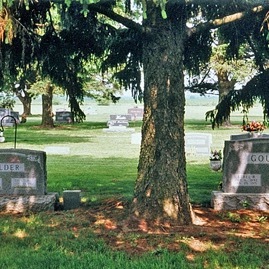 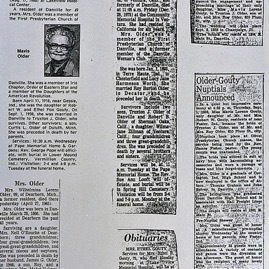 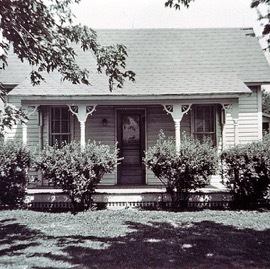 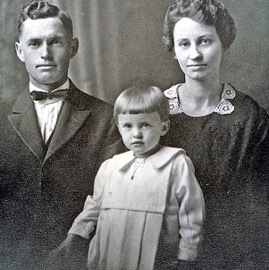 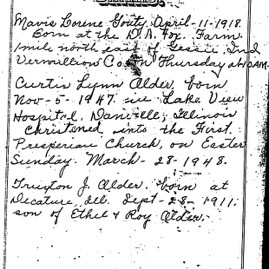 Mavis Lorene Gouty birth certificates, Ethel and Robert William Gouty tombstone, Daniel A. 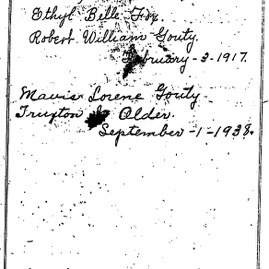 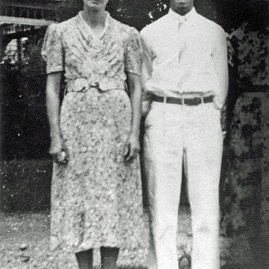 Fox Family photo, Ethel and Robert William Gouty photo, pages from Ethel Belle Fox family Bible, death certificate, photo with Curtis L. Older, obituary, photo of adult Daniel A. 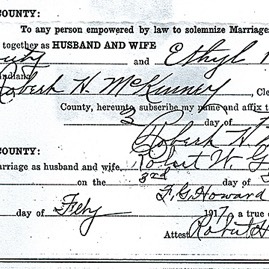 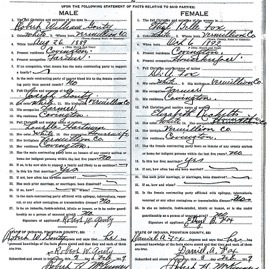 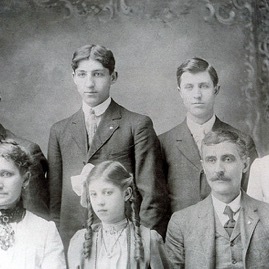 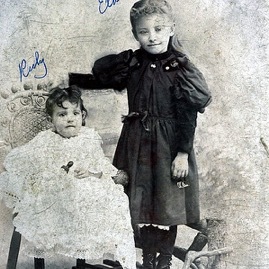 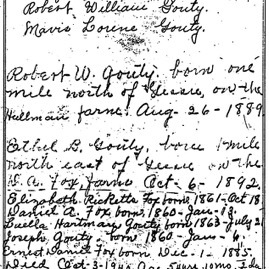 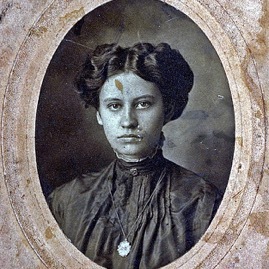 Fox children, Ethel Belle Fox photograph, marriage license, Robert, Ethel & Mavis Gouty family photo, Robert William Gouty farmhouse, Ethel and Ruby Fox photo, newspaper notices, Ethel B. 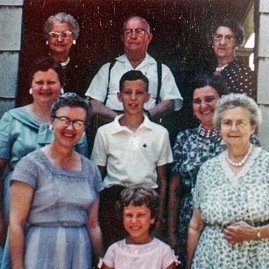 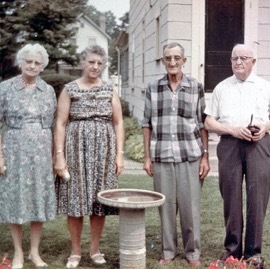 Fox Gouty with Kenneth Fox and others.